Happy Saturday and what a gorgeous day it is here today - finally!! It is sunny, blue skies, slight breeze and in the low 70's. What else could you ask for? DP's used are from MME, paper flowers from Prima, cardstock,buttons,twine,tag diecuts and sentiments all from PTI, bakers twine from The Twinery, misc. 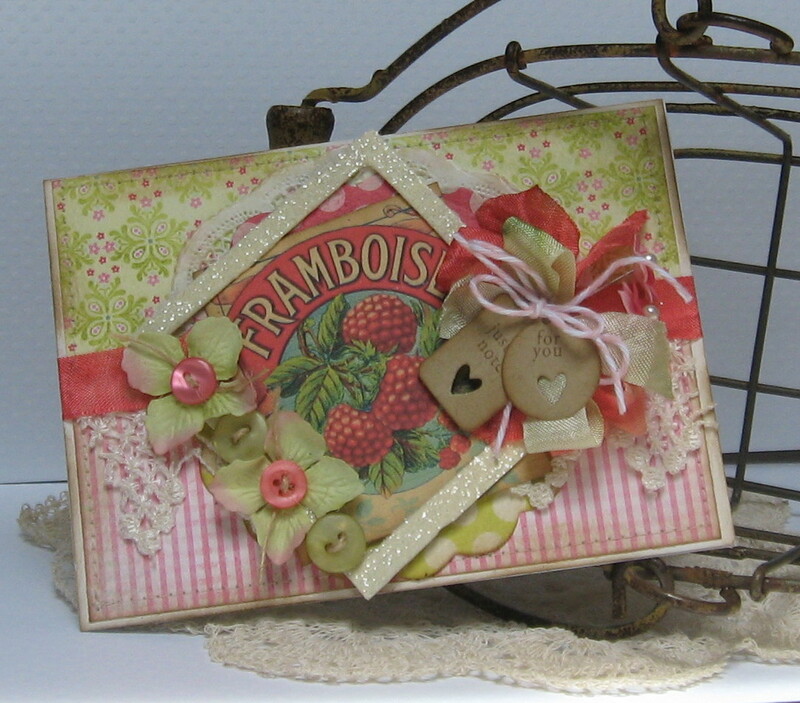 vintage trim, seam binding ribbon, paper doily, chipboard frame and vintage image. Cathy; this is pure shabby chic beauty and spot on the challenge. Gorgeous! I want to eat your card, it's that yummie! And such a PERFECT take on the challenge, too, couldn't have done a better job on this one!